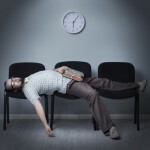 Database Performance Webinar: Tired of MySQL Making You Wait? Too often developers and DBAs struggle to pinpoint the root cause of MySQL database performance issues, and then spend too much time in trying to fix them. Wouldn’t it be great to bypass wasted guesswork and get right to the issue? 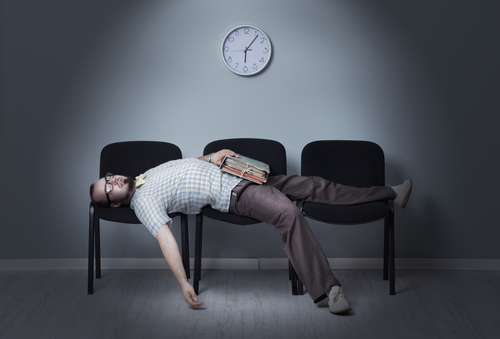 In our upcoming webinar Tired of MySQL Making You Wait? we’re going to help you discover how to significantly increase the performance of your applications and reduce database response time. In this webinar, Principal Architect Alexander Rubin and Database Evangelist Janis Griffin will provide the key steps needed to identify, prioritize, and improve query performance. Percona is the only company that delivers enterprise-class software, support, consulting and managed services solutions for both MySQL and MongoDB® across traditional and cloud-based platforms that maximize application performance while streamlining database efficiencies. Percona’s industry-recognized performance experts can maximize your database, server and application performance, lower infrastructure costs, and provide capacity and scalability planning for future growth. The Percona Live Data Performance Conference is the premier open source event for the data performance ecosystem. It is the place to be for the open source community as well as businesses that thrive in the MySQL, NoSQL, cloud, big data and Internet of Things (IoT) marketplaces. Attendees include DBAs, sysadmins, developers, architects, CTOs, CEOs, and vendors from around the world. The sneak peek schedule for Percona Live 2016 has also been posted! 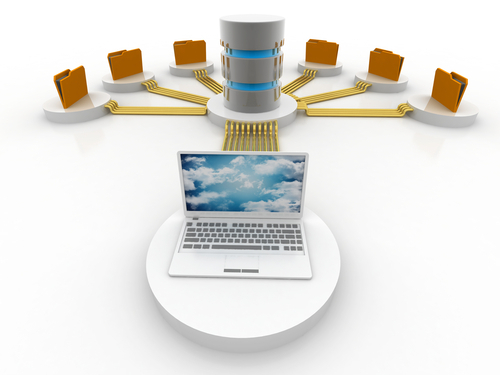 The Conference will feature a variety of formal tracks and sessions related to MySQL, NoSQL and Data in the Cloud. 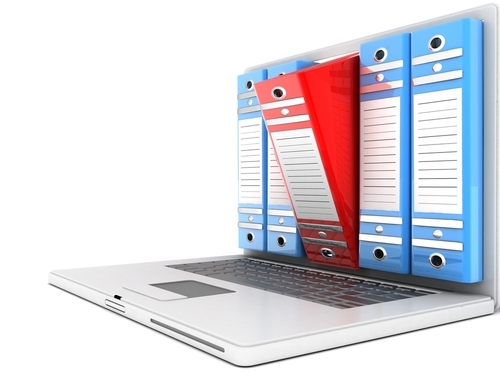 With over 150 slots to fill, there will be no shortage of great content this year. The Percona Live Data Performance Conference will be April 18-21 at the Hyatt Regency Santa Clara & The Santa Clara Convention Center. Just a reminder to everyone out there: our Super Saver discount rate for the Percona Live Data Performance and Expo 2016 is only available ‘til December 31 11:30pm PST! 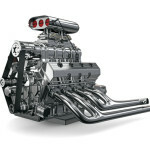 This rate gets you all the excellent and amazing opportunities that Percona Live offers, at the lowest price possible! Become a conference sponsor! We have sponsorship opportunities available for this annual MySQL, NoSQL and Data in the Cloud event. Sponsors become a part of a dynamic and growing ecosystem and interact with more than 1,000 DBAs, sysadmins, developers, CTOs, CEOs, business managers, technology evangelists, solutions vendors, and entrepreneurs who attend the event. Click through to the tutorial link right now, look them over, and pick which sessions you want to attend! on it. If we imagine this is a regular subquery, we won’t know if it can be cached or would be executed for each row sorted.
) could be materialized into a temporary table and cached. , where the subquery was materialized into a temporary table and then joined with the outer query. This is known as a semi-join optimization. But what happens if we turn off this optimization? can help us with this investigation too. "attached_condition": "(`employees`.`dept_manager`.`to_date` is not null)"
To repeat what happened here: the subquery was materialized into a temporary table, then joined with the departments table. Semi-join optimization is ON by default (as would be most likely without intervention). What happens if we temporarily turn semi-join optimization OFF? (including all the details of this materialization). to examine how a particular optimization affects our queries. 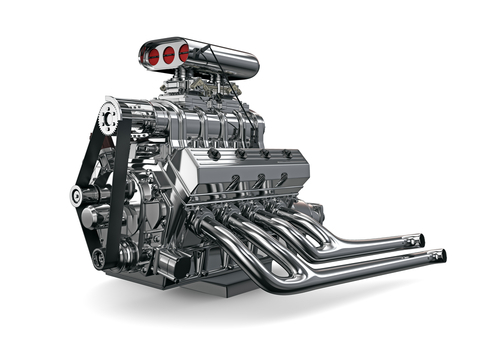 We recently released the GA version of Percona Server for MongoDB, which comes with a variety of storage engines: RocksDB, PerconaFT and WiredTiger. 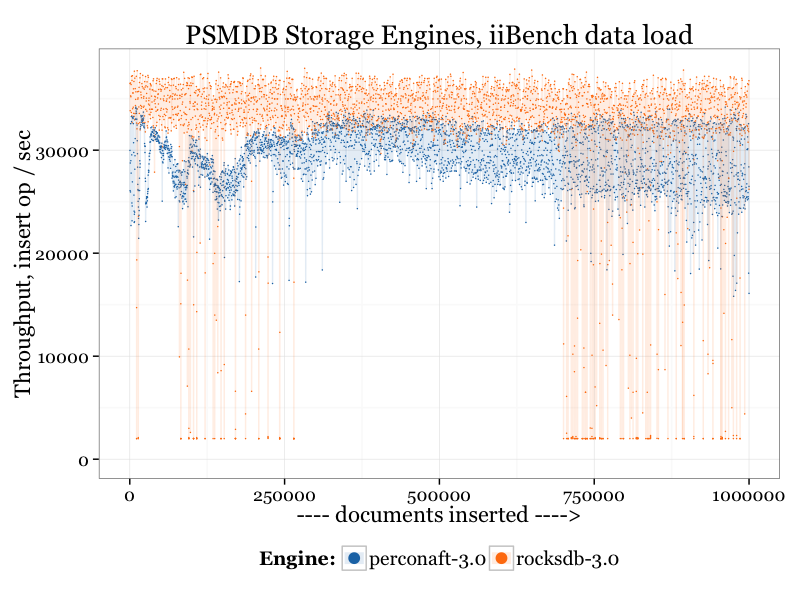 Both RocksDB and PerconaFT are write-optimized engines, so I wanted to compare all engines in a workload oriented to data ingestions. 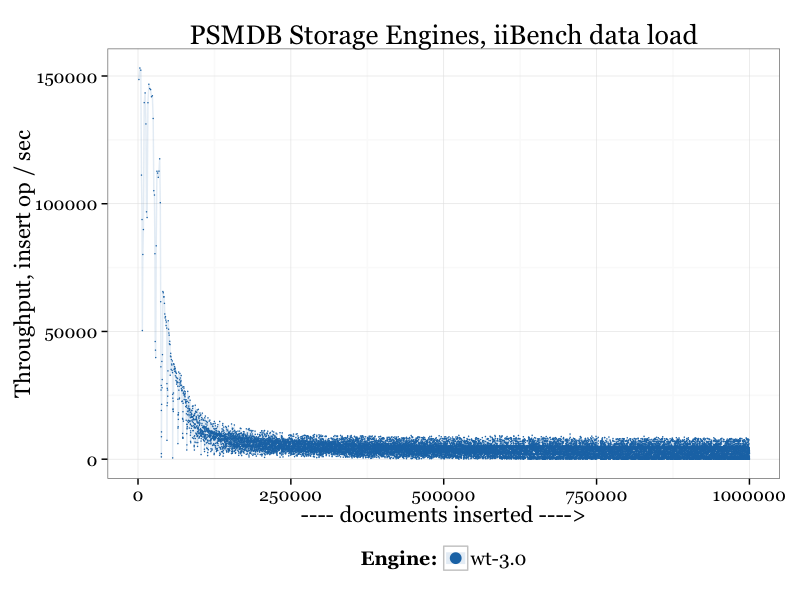 For a benchmark I used iiBench-mongo (https://github.com/mdcallag/iibench-mongodb), and I inserted one billion (bln) rows into a collection with three indexes. Inserts were done in ten parallel threads. For memory limits, I used a 10GB as the cache size, with a total limit of 20GB available for the mongod process, limited with cgroups (so the extra 10GB of memory was available for engine memory allocation and OS cache). For the storage I used a single Crucial M500 960GB SSD. This is a consumer grade SATA SSD. It does not provide the best performance, but it is a great option price/performance wise. Every time I mention WiredTiger, someone in the comments asks about the LSM option for WiredTiger. Even though LSM is still not an official mode in MongoDB 3.2, I added WiredTiger-LSM from MongoDB 3.2 into the mix. It won’t have the optimal settings, as there is no documentation how to use LSM in WiredTiger. And now, let’s zoom in on the individual engines. WiredTiger’s memory (about the first one million (mln) rows) performed extremely well, achieving over 100,000 inserts/sec. As data grows and exceeds memory size, WiredTiger behaved as a traditional B-Tree engine (which is no surprise). 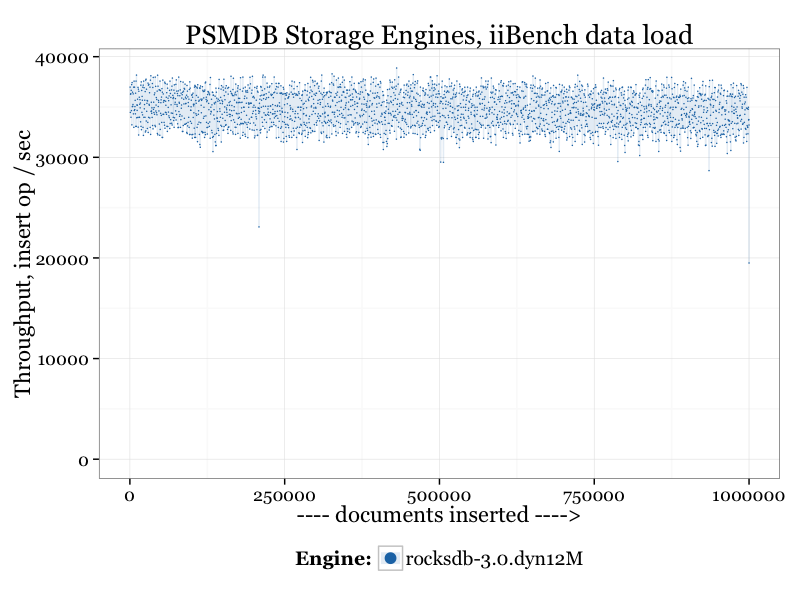 PerconaFT and RocksDB showed closer to constant throughput, with RocksDB being overall better, However, with data growth both engines start to experience challenges. 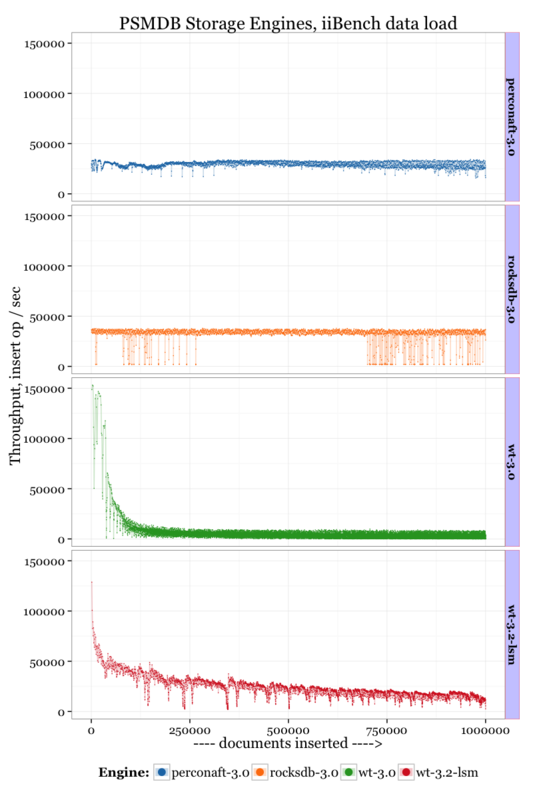 For PerconaFT, the throughput varies more with more data, and RocksDB shows more stalls (which I think is related to a compaction process). WiredTiger LSM didn’t show as much variance as a B-Tree, but it still had a decline related to data size, which in general should not be there (as we see with RocksDB, also LSM based). 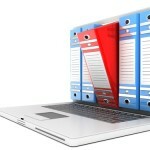 Inserting data is only one part of the equation. Now we also need to retrieve data from the database (which we’ll cover in another blog post). After years of ridiculing the cloud, Oracle has been taking it a lot more seriously recently, and it quietly purchased StackEngine last Friday as part of an effort to boost its Platform as a Service offerings.